Looking for an opportunity to learn a new skill and run your own business from home? Training days are flexible to try and fit in with your schedule where possible. 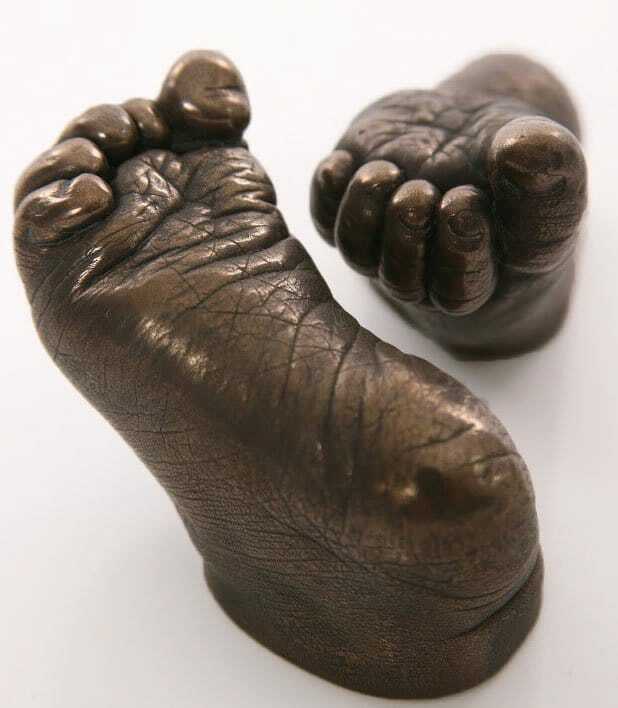 So why choose Precious Memories to learn how to create castings? Running this business now for 15 years I have taught hundreds of students to perfect this art and can honestly say that I love nothing more than sharing my experience with those who attend the training. Having trained people in the UK and also overseas such as India, Germany and Cyprus this further highlights just how far people are prepared to travel to ensure they are guaranteed an exceptional workshop to learn to art of 3d casting. Students leave with detailed practical knowledge and experience to run your own casting business. "Had superb training for 3D, 2D and family casting. I am glad I chose Precious Memories than any other training institutions. 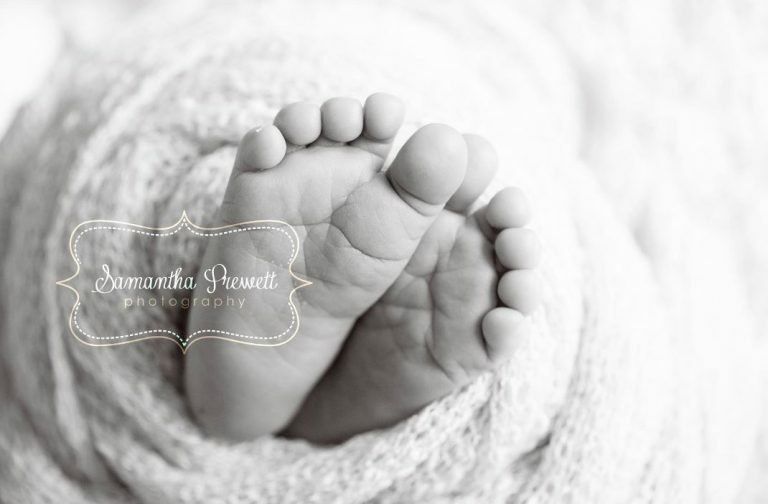 I could learn the technique and could practice on some amazing baby clients. I had travelled overseas from India and by the end of training I feel that all the efforts involved to travel so long were worth it. Glenda is an amazing person and a perfect teacher. I just loved being trained from her. I am excited to start something of my own soon and make my teacher glad by my work." I came from Germany to do a 1 week training workshop with Glenda. 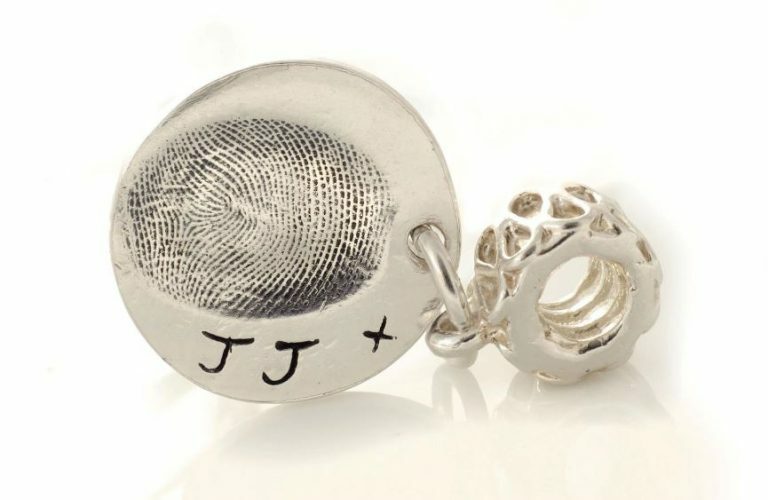 It was such a great experience I learnt 3D Castings including Family ones, 2D Impressions and Silver Jewellery. It was amazing and exhausting but well worth the travel! I have learned alot. 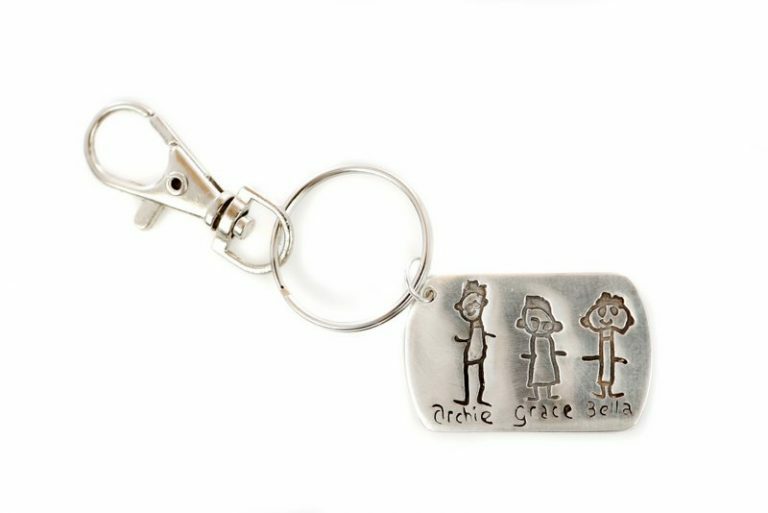 Unlike other companies, Precious Memories offers casts in luxury materials which include, solid bronze, lead crystal glass and hallmarked sterling silver. 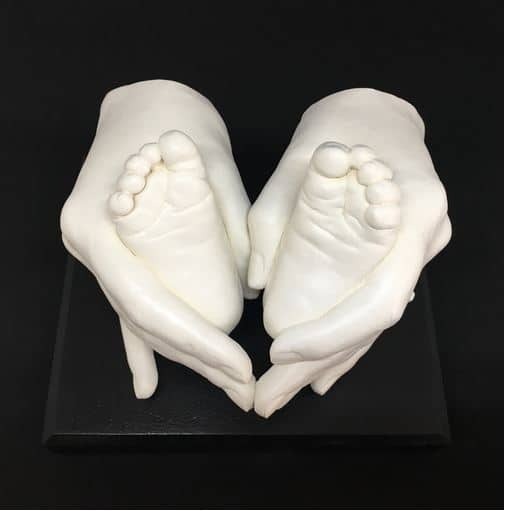 When you attend the training workshop you will be trained to create casts in plaster, which can then be sent to Glenda in Poole. Glenda can then create them into the luxury product for your client and return them back to you. Being part of this process is quite unique and it means that you will have the edge to your competitors from the start. 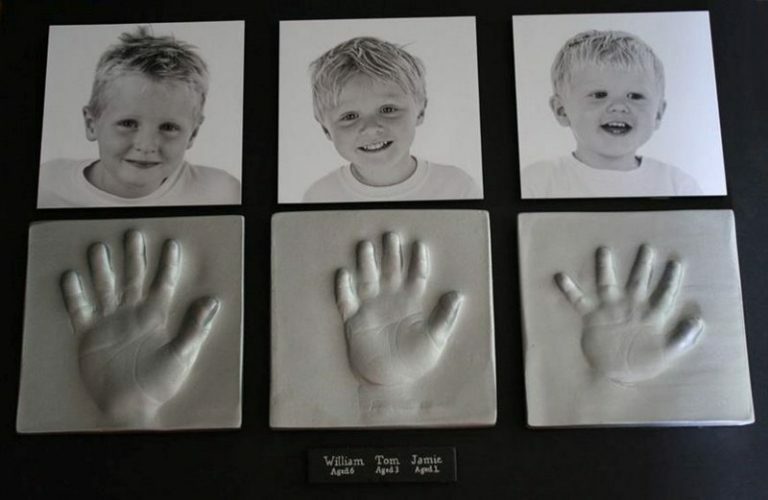 Do Precious Memories offer 3D Casting Kits? Precious Memories business vision remains well and truly focussed. Over the years there has been a shift with some casting companies offering both the services of 3D casting but also the DIY kits to customers. Precious Memories firmly believe this sends out a very mixed message about the art of 3D Castings. 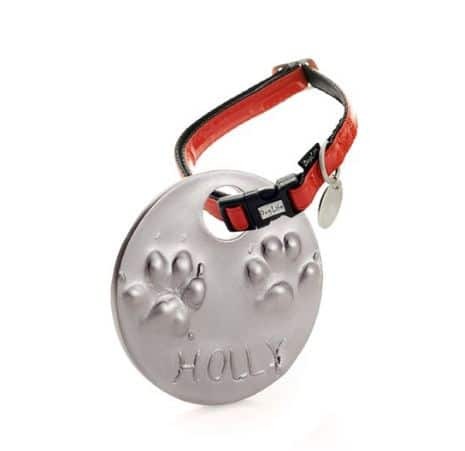 Precious Memories does not sell the kits and has no intention of doing and will remain offering high quality products matched with a high quality service to its customers. Do Precious Memories offer Group Training 3D Casting Courses? Other companies also focus group training however, as each person learns differently Precious Memories wants to ensure that you make full use of your time on the training course and therefore will remain offering a one to one service. A wealth of knowledge, imparted in a lovely, friendly way. 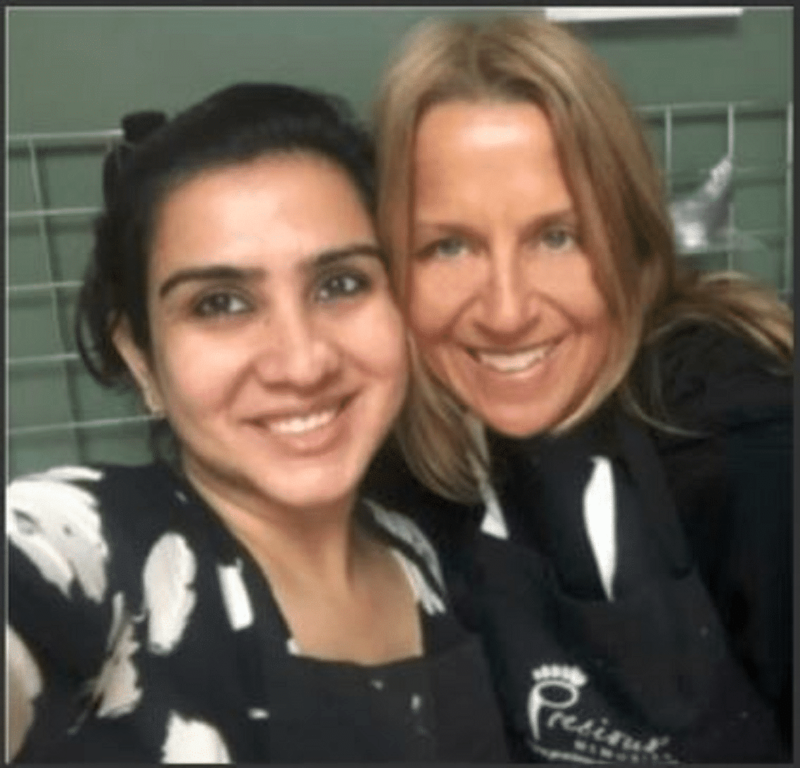 I travelled down to meet Glenda for my two day, 3D casting training workshop without really knowing what to expect, she welcomed me into her home, allowed me to meet her beautiful family and taught me everything I needed to know about 3D casting. She made me feel confident and proud of the work I was creating. She also give me excellent hints and tips for my new business venture based on her own errors and experiences which I found extremely beneficial and priceless. I can't thank her enough for her support then and now.A year, later I returned to Glenda to attend the 2D workshop, so I could offer my clients a variety of keepsakes and the training was just as good - thank you. I travelled from Manchester to complete a 2d and 3d casting course and I would highly recommend it to anyone interested in doing the courses. I was nervous at first but Glenda was lovely and put me at ease straight away. The course content was fantastic, you just don't get that level of knowledge and hands on experience by doing an online course. 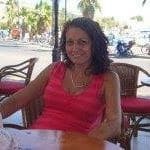 Glenda is very open and approachable, if there's anything you're unsure of just ask and she'll go over it with you again. The kits are great and give you everything you need to get going straight away. Afterwards, Glenda is only on the end of a phone or an email away if you have any questions. I would highly recommend this course to anyone looking to go into this line of work. Thank you Glenda for all your help and your wonderful teaching! Hard to believe this time last week I started out on my keepsake journey, we travelled all day and arrived in Poole 9pm and the following morning I was so nervous at meeting Glenda and starting the course , even though we had lots of conversations beforehand , I needn’t have worried I was met with a friendly warm smile that put me at ease. It sounds weird being told I want you to make mistakes (not hard on my part lol) but I now understand .... Online don’t show you those parts. I do best with hands-on show me. For me this course was exactly what I needed.My first two days were 3D and third day was 2D , I got to meet such a lot of adorable baby’s and I thank all the parents who let me loose on them, and of course Phoebe, Glenda’s rescue dog who happily let me practice on her. Day four was the half day family casting workshop and again I got to practice on two lovely little ladiess who were perfect models. Yes it was another long journey home and I fell into bed that night exhausted, Sunday I spent with my granddaughter who took so much interest in the casts I got to bring home, wonder if she’ll be as happy and excited when she finds out she’s my practice for the next wee while , anyone thinking about this my words would be the journey was worth the outcome. Question 1 – Do you offer training online? In short, no. Call me old fashioned, but would you read a book to learn how to ride a bike? That is my view on learning the art of 3D Casting too! 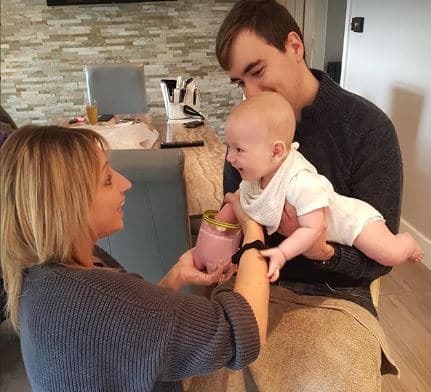 You need to be face to face with the parent, baby and have hands on experience of using and understanding the materials too. The first impression you create with a client is really key and you can’t learn how to do this online. Question 2 – What is the difference between your One day Casting Course and your Two day Casting Course? I understand that everyone who enquires has budget in mind and not everyone can afford to stay over. The Casting Courses are adapted to hopefully offer everyone the chance to attend one of my training courses. The Two Day course does offer you more opportunity to meet a variety of models and you also learn the art of handclasps. 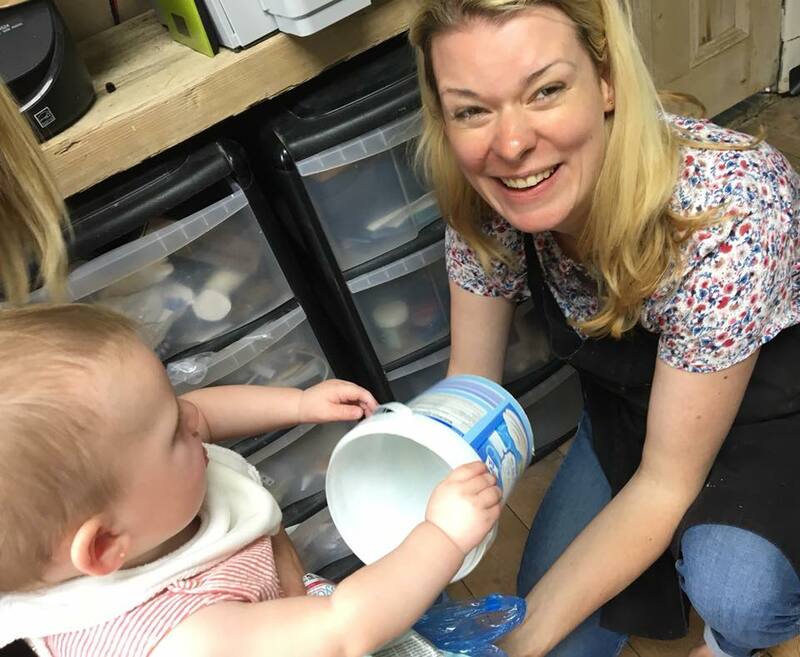 As with any course I run, I go into a huge amount of in-depth detail on do and dont’s that I have personally experienced – something you can’t learn online, as well as having the opportunity to cast a baby. Precious Memories also covers all the key aspects associated with your business, such as the ever increasing impact of social media, marketing, insurance and health and safety. Question 3 – What do you get in your kit? 3D Basic Starter Kit – £100 which will include a shadow box frame, alginate, plaster, a colour wax plus tools. You will also receive a supplier list which is invaluable in terms of saving both time and money. Question 4 – What support is given once training has been completed? Again, feedback from those who have completed the training have said that the aftercare offered is worth the money in itself. I am firm believer that once you leave the studio, if at any point you need help with anything covered in the training support will be given – no strings attached! 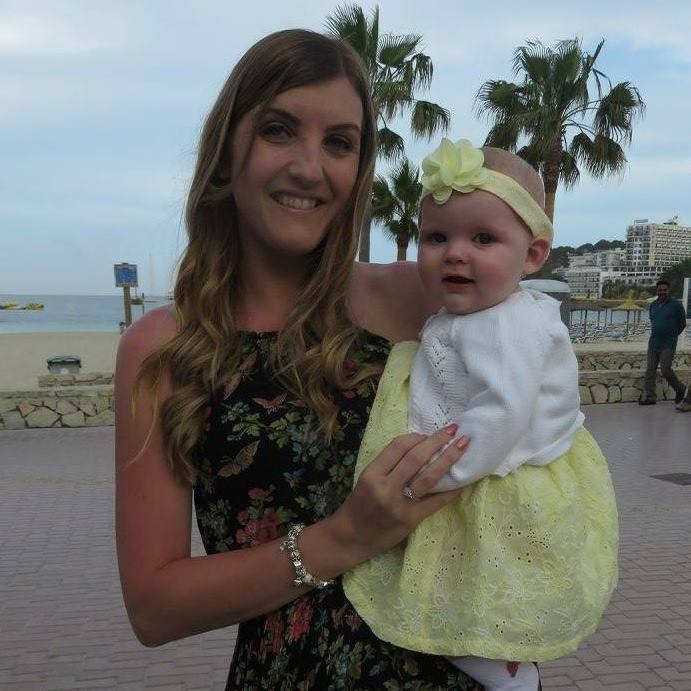 As a mum myself, I am so thankful that i have not missed out on anything with my girls and have grown a business which now allows other parents to do exactly the same from for the comfort of their own home both here in the UK and overseas. Finding a job around a family in today’s society is not always easy. With the rise of childcare costs many parents are often left in a dilemma – as returning to work for some means they hardly earn anything. For many who have attended training they have been looking for a lifestyle change. Wanting time with their family but also earning money and gaining some financial independence too. This is exactly what this training course will do for you. Gone are the days when you miss your child’s sports day at school or you have to call feel guilty sending your child into school when they are feeling unwell because you are being made to feel guilty at work. 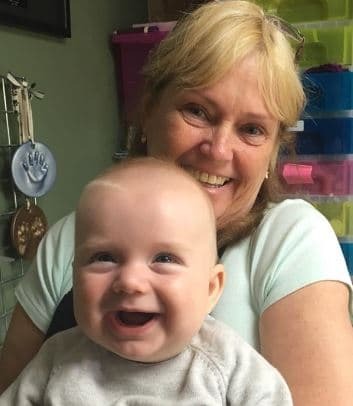 Learning the craft of 3D Keepsakes is not only a new craft but a new start for you and your family and if you don’t just have to take my word for it – hear why some of the people I have trained think. 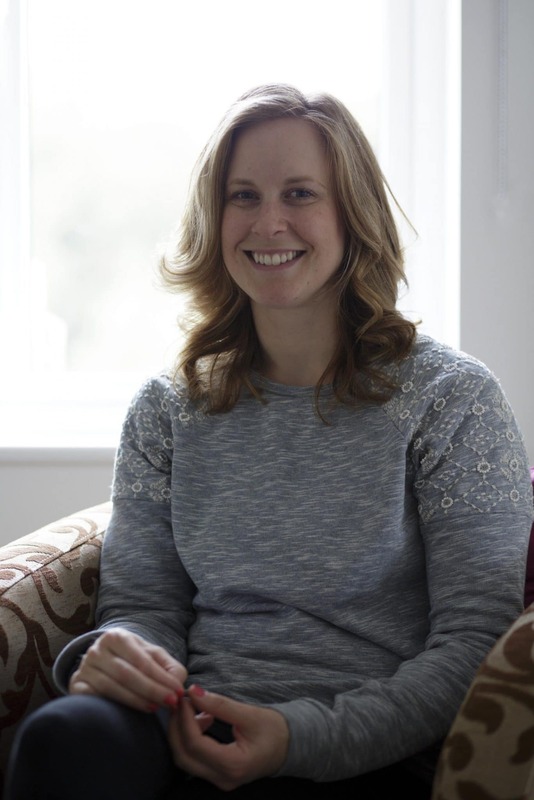 So if you think this may be what you are looking to do then why not take a few minutes to listen to what Caroline from Bristol had to say when she attended the two day 3D Casting Workshop. kindly took a few minutes out of her busy schedule to do a short video on her experience on attending a two day 3D training course.